This is a PvE build for the Gunslinger. This will mainly utilize the Sharpshooter specialization, but also has some balance involved. Note: This build was created with the Darth Hater Talent Calculator. The link to view this build is here, and the associated Sniper build is here. Goal: This build is about maximizing DPS while keeping energy regeneration up. The keys to this are having a large energy pool and the Foxhole talent to get the extra regen while in cover. Sharpshooter (3/3) – Increases accuracy, which unless you are capped in accuracy, means more DPS. The long term battles are really impacted by the extra 3%. Percussive Shot (1/1) – A must have, this skill adds knockback to Aimed Shot (big sniper-shot) when used within 10m. This can be handy to get mobs off of you and back into the range of the tank’s AoE’s. Ballistic Dampers (2/2) – This grants 3 charges of a 30% damage-absorbing shield upon entering Cover, which means that you will take less damage. 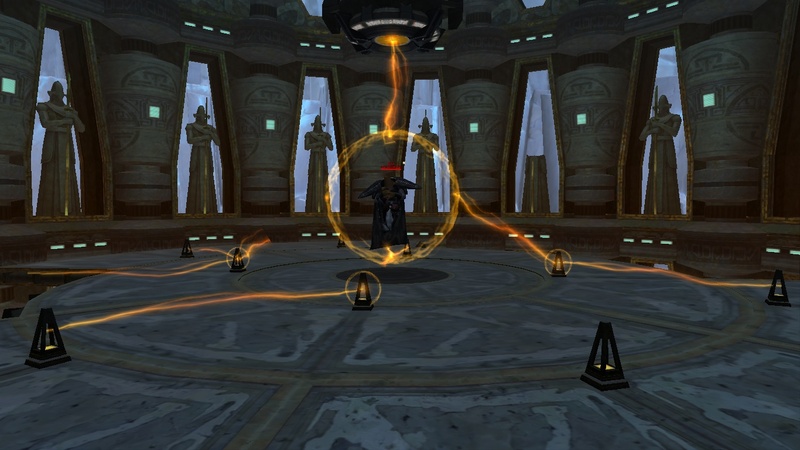 This can help with AoE’s and the Dark Council bosses in Eternity Vault. Diversion (1/1) – Reduces accuracy of the target by 45% and pops them out of Cover. This cannot be used against raid bosses, but on particularly difficult trash, it could be useful. Quick Aim (2/2) – On crits, Charged Burst and Speed Shot reduce your next Aimed Shot’s activation time by 1 second. This means faster deliverance of death. Slick Shooter (2/2) – Increases critical hit chance of Charged Burst, Speed Shot, and Trickshot by 4%. Spacer (1/1) – Increases knockback distance of Pulse Detonator, which is good, but it also reduces cooldown of XS Flyby, which is much better for fast response times to waves of adds. Rapid Fire (3/3) – A newly-revamped skill in 1.3, this now decreases the cooldown on Aimed Shot and Speed Shot by 3 seconds. Foxhole (1/1) – Increases energy regeneration by 1 per second while in Cover. Great for sustaining the DPS. Trickshot (1/1) – Gives a high-DPS skill that is only usable within 4.5 seconds of Charged Burst or Aimed Shot. Should always be on cooldown. Deadeye (3/3) – Increases critical damage from Speed Shot, Quickdraw, and Trickshot by 30%. No option, this is crucial for sustained DPS especially with a high crit chance. Holed Up (2/2) – Decreases AoE damage taken by 60% while Hunker Down is active. This could be really go for those Enrage-timer finishes when the damage is flying around and that boss is so close. This would’ve prevented that one really irritating time when we wiped on the 2nd boss of Eternity Vault when he was at 6 health left. Not 6%. Six health points. Sooooo frustrating…. Bravado (2/2) – Increases max energy by 10. Streetwise (3/3) – This ability increases Cunning by 9%. This is never a bad thing, and I would recommend this ability, regardless of the build, PvP or PvE. Black Market Mods (2/2) – Increases Alacrity, which means faster DPS. Last Updated: 7/14/12 for Update 1.3.2. Just to be clear: do you advise taking these in the exact order listed? Why increase Alacrity since most casting is <-1.5s ie global cool down period. Alacrity is not worth stacking necessarily, but it is worth getting what you can without sacrificing other stats. The global cooldown is actually lowered if the cast time is less than 1.5 seconds. I have seen it be 1.1 seconds on a Charged Burst or proc’d Aimed Shot. 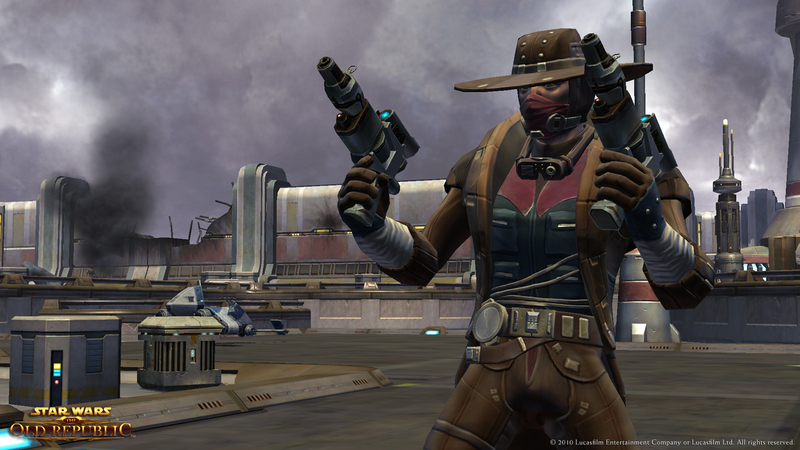 Around The Holonet: A Good Blaster By Your Side | TORWars – SWTOR News, Guides, & Podcast!